I stumbled on this post today via a friend. I actually don't find this too difficult. I took a look back at my year this year and can honestly say that all new fabric was for either a commissioned quilt, backing, or a planned project. I bought four destashes and a few small bundles to beef up my fat quarter collection for bee quilts. At the beginning of the year I said this. Do you remember? I did not jump on a SINGLE new band wagon. No new quilt alongs. I gave myself permission to join ONE swap. And I did. It is actually due this month and with my bee partners. I am SO glad I have stuck to it! 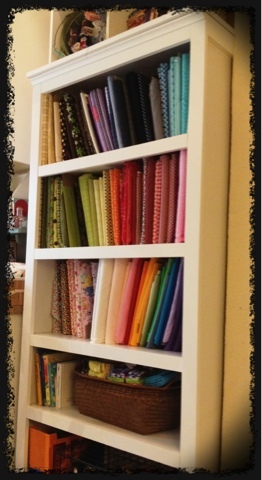 I was able to use the money I earned on my quilts this year on tools for my longarm and some books. I can report that I am very happy and very relieved that I stuck by it. If I could make this awesome quilt out of all of my stash and scraps (only had to buy the backing)? 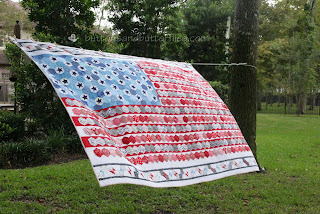 Stars and Stripes Quilt I can EASILY do it again, right? Back to the issue. My stash is still pretty remarkable, however, I still say not too shabby for a gal that has been quilting/sewing for about 17 years. - Save the $$ I spend on stashing. 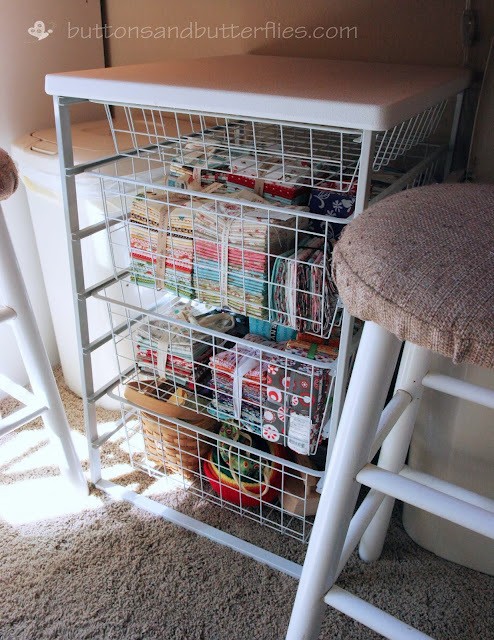 MY EDIT: Use the money I save to purchase more tools and accessories for my longarm. LONG TERM GOAL: Computer for my long arm. MY EDIT: No swap fabric, but this is my "just in case" clause. Background fabric. Like backings, I know I do not have the yardage for some patterns in my future this year! 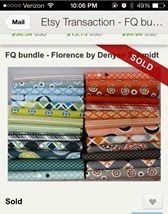 Ironically, I just bought my last bundle for a planned family quilt next year. And I will admit, I am going to see what I can get my hands on during Black Friday. Otherwise, my pledge might start sooner than January. Yes, I'm on board too. I've been quilting for over 3 decades and well, I can go quite a while without buying anything new. I emailed you about inbox email following of your blog. you are already incredibly disciplined! good for you for choosing to continue. 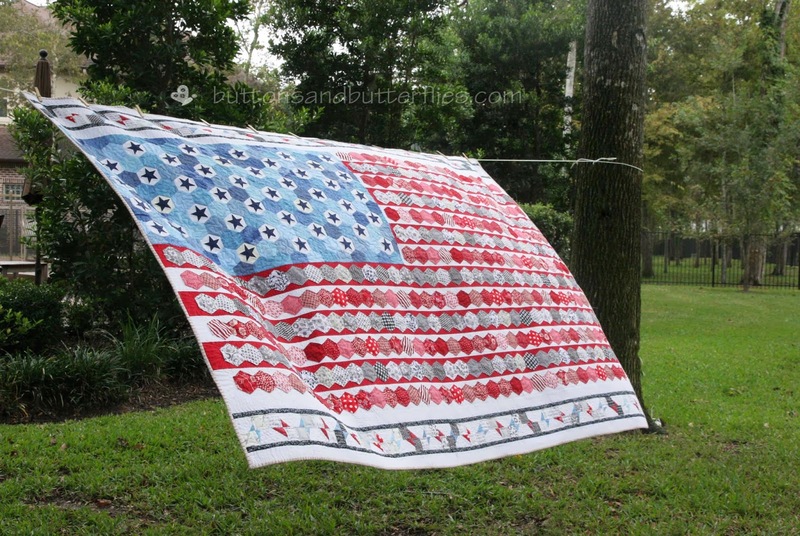 =) your stash has already produced some pretty remarkable quilts. it's a great example to the rest of us! I've officially jumped on board, and I'm rather excited! I like your motto of not having to do what everyone else does. I don't know when I became such a follower! I'm joining in for at least 6 months, but I'd like to go the whole year without buying fabric. I can't wait to see what you make this year! Hello Heidi - I too have pledged to forego my favourite occupation of buying fabric!! Must admit I put in a few orders before the end of December - just in case! Hopefully we can all offer support to one another if we feel we are in danger of "falling off the wagon".